Rainbow Falls Abstract Waterfall Painting. 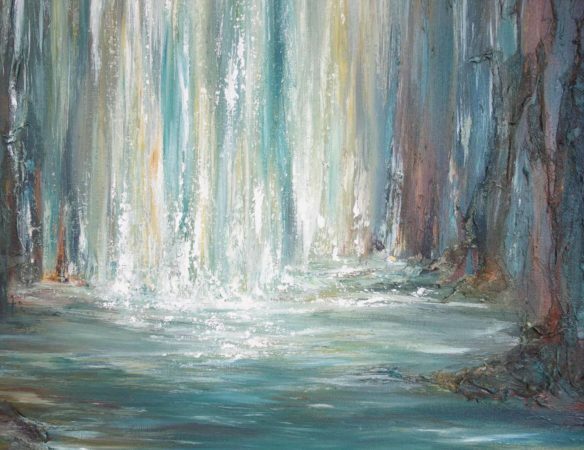 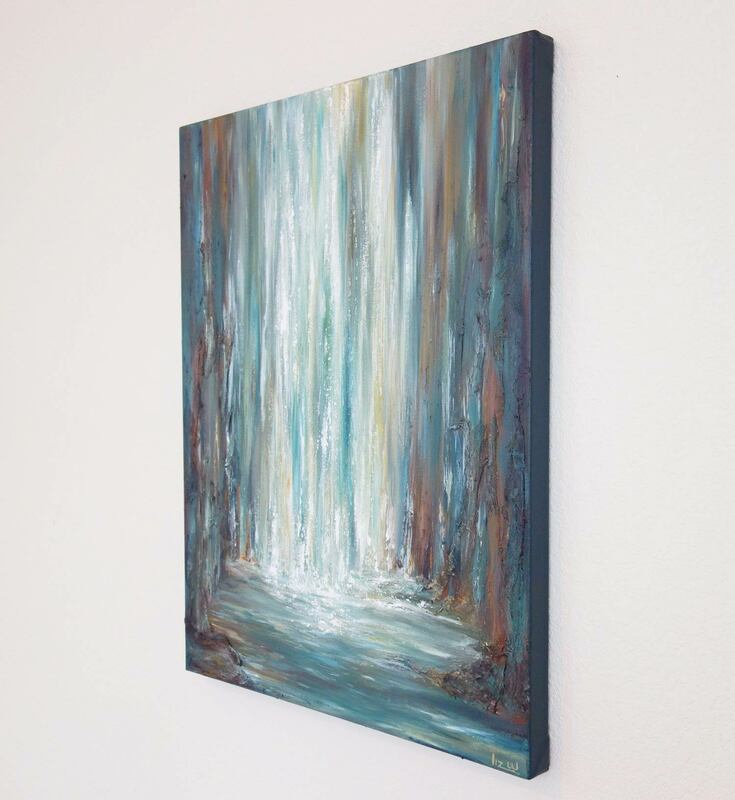 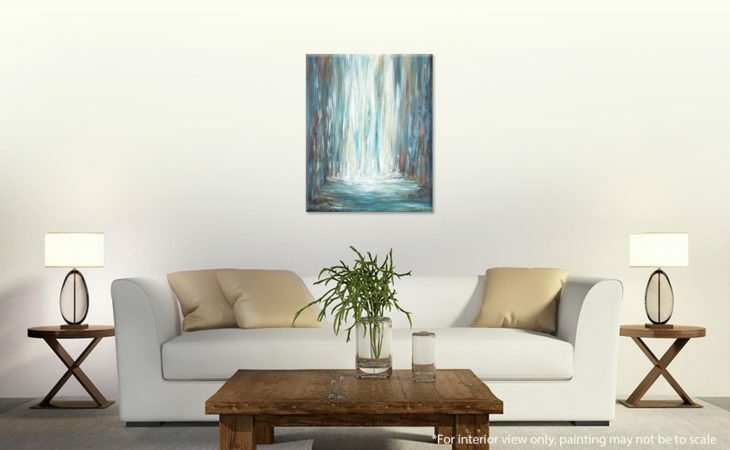 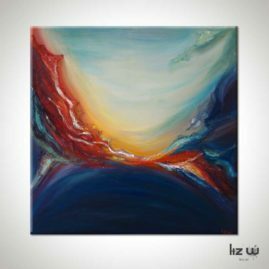 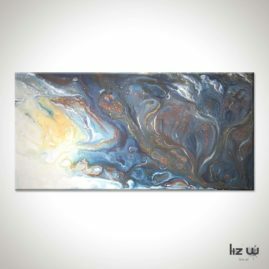 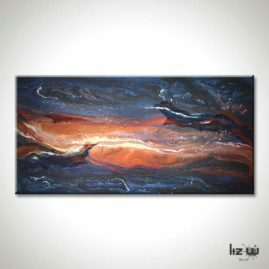 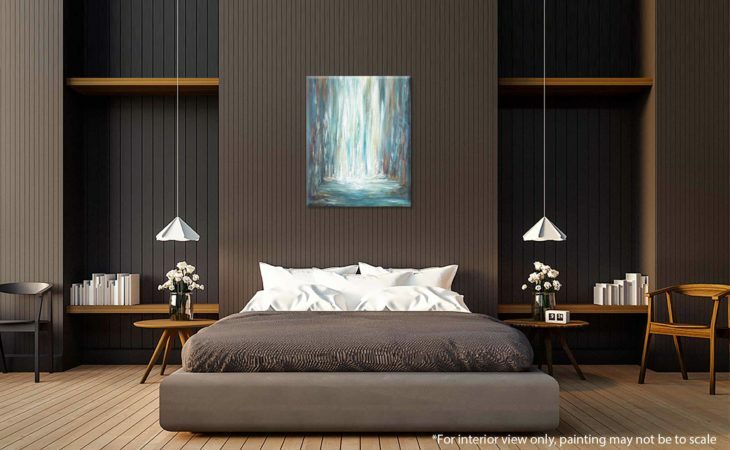 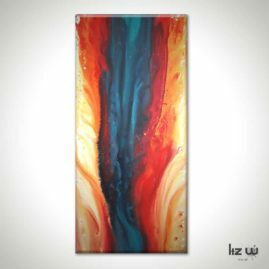 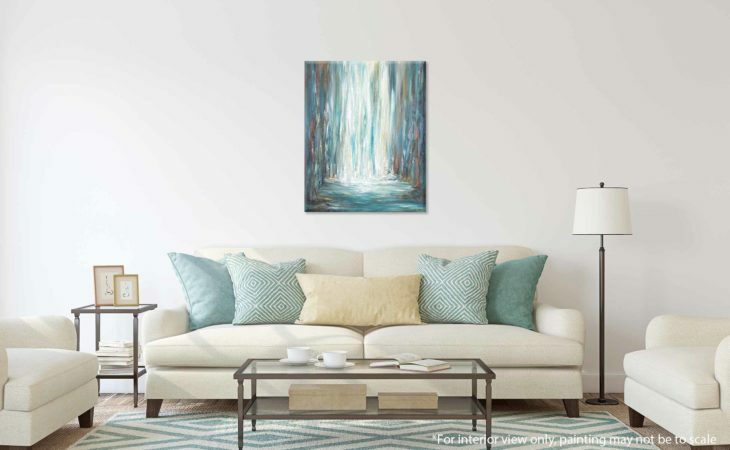 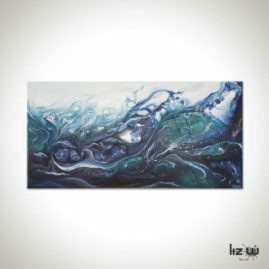 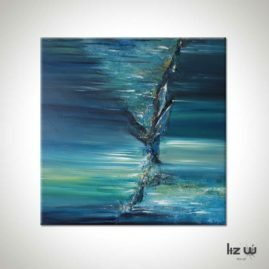 An original cloth textured waterfall painting by Liz W Fine Art. This artwork features a rushing waterfall with flecks of warm hues cascading along colorful cliffs. 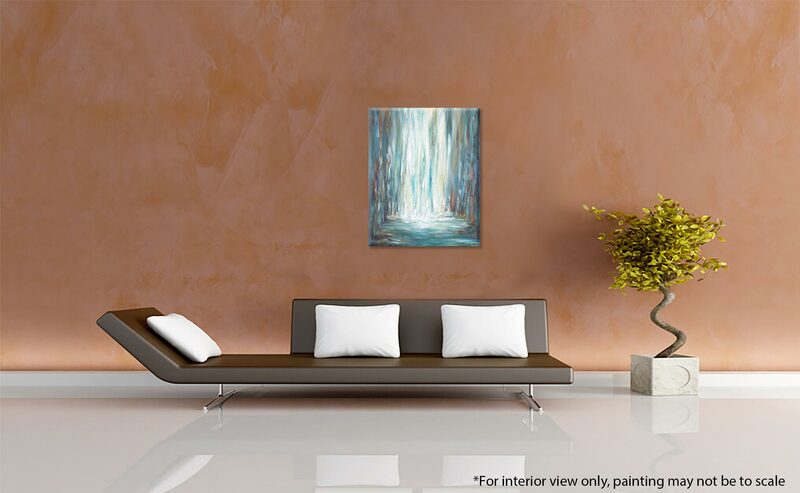 Color tones are in blue, copper, brown, rust, white, and warm yellow. 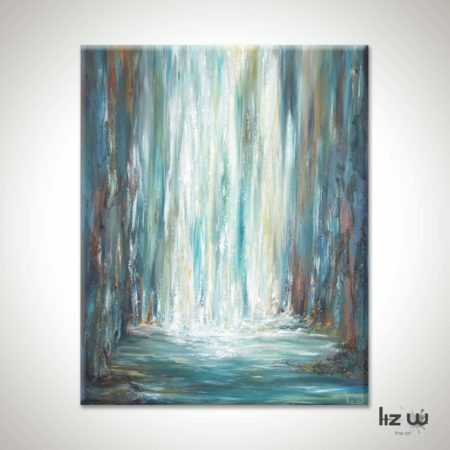 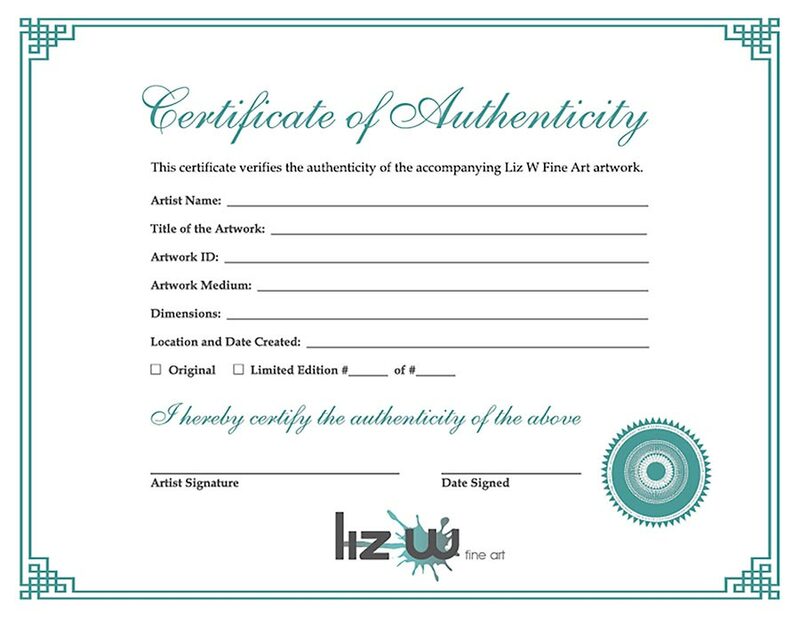 Created using the finest quality professional grade acrylic paints on gallery wrapped canvas. 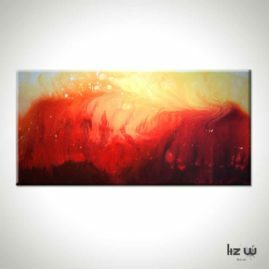 A final coat of UV Gloss varnish is applied to protect the painting against sunlight and dust for a long life of enjoyment. 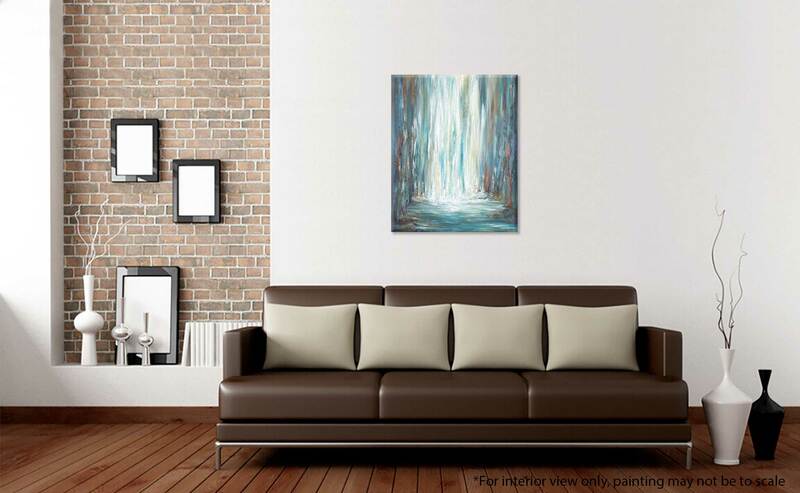 All sides of the canvas are painted so no frame is necessary. 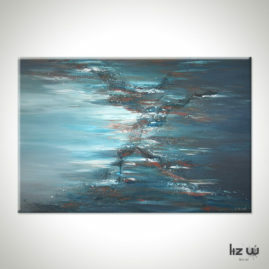 Ships ready to hang with secured hanging wire.